Accurately identifying the cost of labor for your business could help you save money and stay profitable. If you have done a serious labor cost estimate, you’re more prepared to manage your budget, offer your products or services cost effectively, and reach your bottom line. To calculate the true cost of labor, you’ll have to take much more than an employee’s wage into consideration. For example, although you may be paying a worker $18/hour, he or she may be costing you as much as 60% more than that. We’re going to touch on the various items you’ll need to consider when determining the true cost of labor for your business. We’ll cover all of the basics, as well as few advanced factors, that will direct you toward a good estimate. Note that the model discussed in this blog post if for hourly employees. The true cost of salaried employees can be a bit harder to pin down. The first step in calculating labor costs is determining your total gross wages. This includes hourly and overtime earnings. For example, if an employee makes $25 an hour and works 1,920 hours in the fiscal year (with no overtime), their total gross income equates to $48,000. Next, you’ll calculate your field labor burden. This consists of all payroll expenses beyond raw wages—i.e., employee benefits, equipment, and taxes. Note: field labor burden is only applicable when it pertains to all employees. If it’s a unique instance that only affects a singular employee, it should not be included in your field labor burden calculation. The benefits you provide to employees will make a substantial dent in your total labor costs. In fact, according to the Bureau of Labor Statistics, benefits accounted for nearly 32% of all labor costs for civilian workers in June of 2017. Depending on the industry you work in, there may be a significant initial capital requirement to onboard new employees with appropriate equipment. You may not even realize it, but the various supplies required can make a huge impact on your total field labor burden. The list below includes several items that are used by employees in various occupations, but it’s definitely not exhaustive. Make sure to include each item that you’ve provided to employees to execute their day-to-day tasks. The last thing you’ll need to consider are taxes. While this may be your least favorite part of the calculation (and we can’t blame you), it’s fairly important. The tax withholding list below covers the basic taxes most employers pay. However, there may be additional tax consideration that you’ll have to include. Note: when calculating tax withholdings, be sure to do so with an accountant for an accurate calculation. This all comes out to $73,780. Now divide this number by the total number of hours worked (in this example we’ll continue to use 1,920). Once you do the math, you’ll get $38.48 an hour. That’s a 53.7% increase from total gross wages of $25/hour. Saving money is naturally a top priority for business owners. There are countless methods out there for saving on labor costs, but not all of them will work for your business—and some, such as simply cutting workers’ pay or benefits or cutting staff, could hurt you. We’ve put together a shortlist of better options, but it’s up to you to figure out what’s best for you. Reduce turnover – Training and onboarding new employees is time-consuming and expensive. Managing your team closely and providing support to reduce turnover rate will help you cut down on those costs. Cross-train employees – A network of cross-trained employees makes your team more versatile, and it helps make up time when an employee is out sick or on vacation. You won’t waste time scrambling around looking for a replacement when you already have a employees trained to do several jobs. 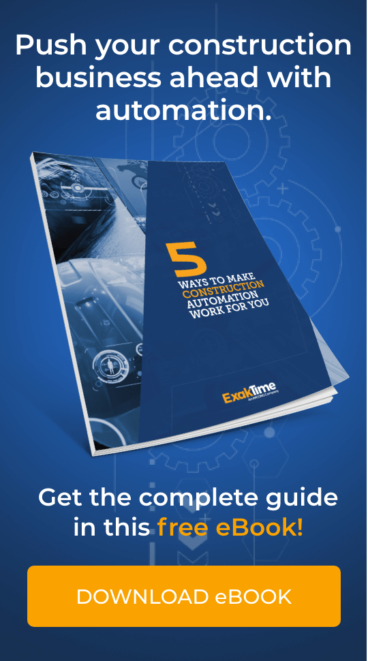 Automation – You may be able to eliminate a significant portion of your total labor costs if you remove tedious tasks with an automated tool. A good example of this is our employee time tracking solution. Our proprietary employee time tracking app helps reduce costs associated with data entry, clocking in, and report creation. It also eliminates hour-rounding by employees, which can reduce the cost of payroll significantly. Calculating the cost of labor may not be the most fun task to sit down and hash out, but understanding the true labor costs you’ll incur throughout a fiscal year can actually help you plan ahead, make good decisions, and stay profitable. Are there any other methods you’ve used in the past to help reduce labor costs? Have you ever encountered an unusual addition to labor costs? Let us know!